While he didn’t actually say it, I knew this list meant that I needed to avoid sugar, wheat, and other grains, as well as starchy root vegetables and super-sweet fruit. After several months of research, I decided to not only avoid these things, but to eliminate them from my life. The emphasis here is to eat real food. That means we do a lot more cooking than before, and it’s good to know what all the ingredients are. We shop the perimeter of the grocery store for almost all our food. Once in a while, we do have small amounts of low carb berries, such as strawberries, blackberries, or raspberries. After the first few days, no more craving sugar. I never thought this was possible. After the first few weeks, I had blood work done. It showed that I was no longer borderline diabetic. My A1C was totally normal! In fact, everything was beautifully in normal range! I have fibromyalgia and the pain was lessened. My bowel schedule has normalized and no more irritable bowel syndrome. Sorry if that’s TMI. It’s been a struggle for most of my adult life. I’m no longer lactose intolerant. This way of eating doesn’t include cow’s milk, but I can eat cheese again! I’ve lost weight. I still have a lot more weight to lose, but since starting this way of eating, I’ve basically maintained a loss of almost 50 lbs. for over a year. In my entire life of 61 years, I’ve never ever maintained any kind of weight loss for anywhere near that long. I consider this to be worth all the lifestyle changes we’ve made! I hope this helps to explain my way of eating. It’s not a diet. It’s a lifestyle and I’ve learned to embrace it. The benefits easily balance out the challenges. Remember that home is where the heart is, and there’s no place like home! Categories: Food, Low Carb | Tags: food, lifestyle, Low Carb | Permalink. Having rescue dogs in our lives has changed us forever. 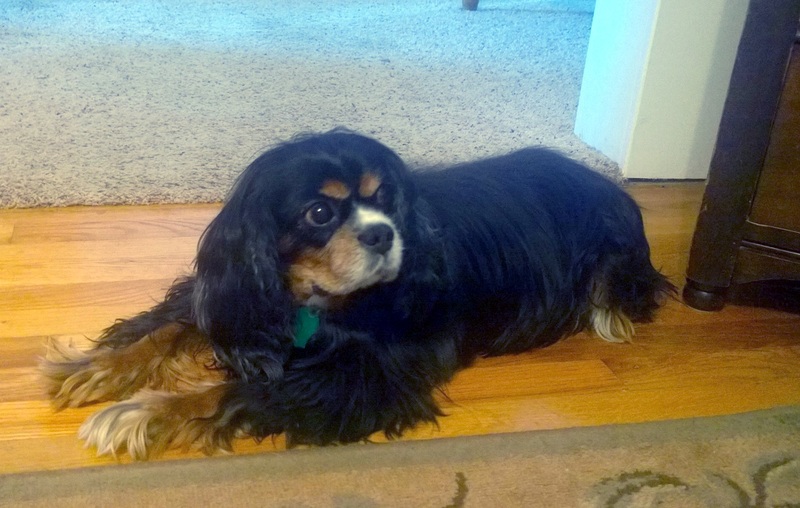 Lady, a Cavalier King Charles Spaniel, is truly a bright light! She was rescued from a puppy mill where she had many, many puppies. I found her online and we were so happy when we were chosen to adopt this senior sweetheart. The good folks at Partners For Pets rescue in Troy, IL took good care of her and we are so thankful to have become her forever home. Lady wasn’t house trained and was very skittish, especially around me. We wondered if a woman in her past had abused her in some way. We’ll never know. She’s so much better now! She has a heart condition which she takes medication for, but she loves our family and we love her! 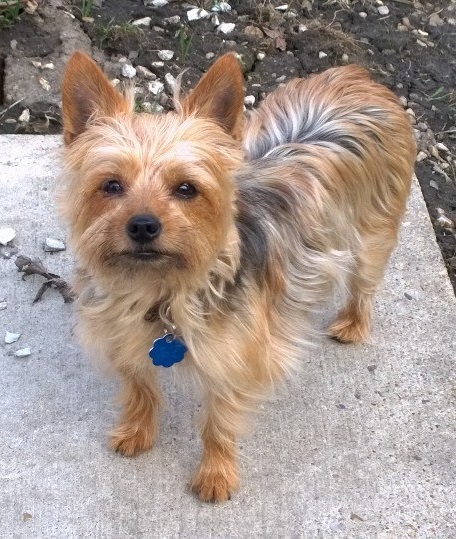 Cassie, a Yorkshire Terrier, came to us through our niece, Jenna. An older couple had Cassie since she was a newly weaned puppy. She’s registered with the AKC and everything! Cassie was already a senior dog when her fur-mom died and then her fur-dad went into a nursing home. Poor Cassie was left alone in their house for weeks (with only someone coming in to feed her and let her out). Jenna and her hubby took Cassie in but she had already developed separation anxiety and she was so upset when left alone during the day that she would potty in the house, even in an appropriately sized crate. Needless to say, she was miserable. When Jenna asked me if Lady needed a fur-sister, I said yes! She still has separation anxiety issues, but we love her and are so happy to have her as part of our family. Both girls love to take walks and sleep with us and love on everyone! We can’t imagine life without them. Categories: Family, Pets | Permalink.